1) Do not click on your own AdSense ads by any way. 2) Do not increase AdSense ad impressions with some automating tools. 3) Don’t ask others to click on your ads. 4) Don’t alter the AdSense code other than fonts and colors. 5) Don’t put AdSense code on adult or prohibited content. 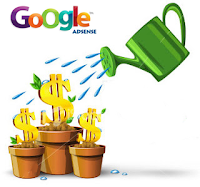 Some basic optimization tips can double your AdSense revenue, so i've added a list of some of the best Google Adsense Tips and Tricks for making more money from the Google Adsense program. Because browsers and screen sizes vary, Google has created a nice tool that allows you to enter any URL, and check whether you've implemented your ads above the fold. Use them wisely. I suggest you to place 250 x 250 size ad units at the top of every post and align it at the right or left side of the post content. The 160×600 ad format can easily fit in the sidebar of your blogger blog. 4) Text ads are good for the first Google Ad unit. I also recommend you to place a 300×250 unit in the sidebar (or somewhere below the fold) – these generally serve CPM based ads and will help you monetize visits from places like Digg and StumbleUpon. 5) Ads placed in-between the content can also perform well. If you have small posts then put ads at the top of the page content. If you have big post then ad units placed at the bottom or middle of the post. 6) Do not use borders to your text ads or use them wisely. 7) To blend, choose the colors that match with the colors of your website: for example if your site background is black, you will put the same background for your Adsense ads. If your links are blue, then select the color blue for Adsense links. If your titles are red, then make your Adsense block titles red. 8) To complement, use colors that already exist on your site, but don't match the background and borders exactly where the ads are placed. 10) Use link units near the site navigation bar. The main advantages of this placement, are that they can perform well and you don't need too much Ad space on your site. 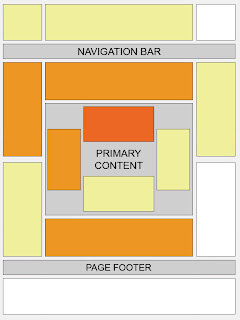 This way, your site looks clean and also, your visitors will be annoyed. 11) Study your keywords and the target ads to these keywords. Usually, Google Adsense crawler searches for the first or second paragraph to target ads to that page so don't forget to add your page-targeted keywords at the beginning of your post. 12) MFA (made for AdSense) sites are websites created around AdSense keywords, and often, these are poor quality sites with little or no original content. Use Allow and block ads feature to block low paying or irrelevant ads showing on your site. And be careful when you're doing this, sometimes one ad unit can give you $0.01 in one country and $1 in other country. 13) Use Google Adsense ad preview tool to view what ads are showing on your site. 14) Many times you can earn you more AdSense revenue from Image search engines than with the regular web traffic. Upload good quality images and use text captions with alt tags to make sure that blog images rank good in Image Search results. 15) Add a search box at the top left region of your blog and use the word "search" in the submit button otherwise visitors might be confused and might not notice it. If you use a second search box, put it at the bottom of your pages.